The ARKit developer framework has been upgraded in iOS 11.3, and improvements are impressive, especially considering how recently version 1.0 launched. 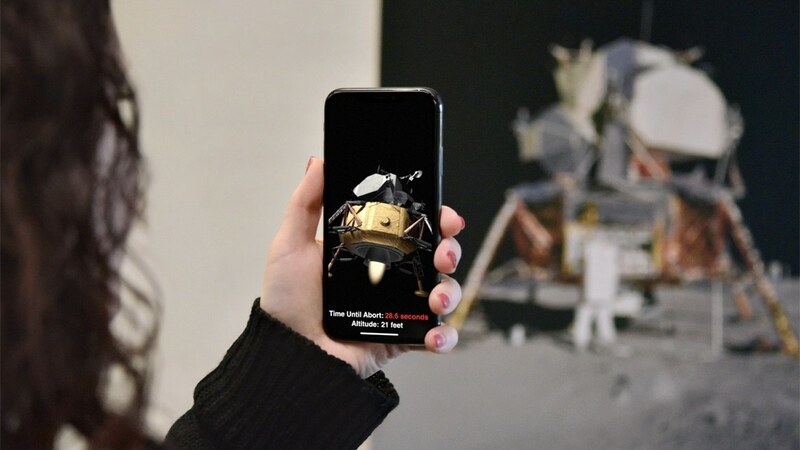 One of the most notable improvements is that apps can now use ARKit to place objects on vertical surfaces, the potential of which is on display in several demos developers shared on Twitter. That's not all though – ARKit also now offers the ability to map irregularly shaped surfaces, it boasts 50 percent greater resolution, and supports auto-focus. A mere six months after ARKit first launched to the public, nearly all of the technology's drawbacks have been addressed with this update. Expect to see ARKit's upgrades put to use in third-party apps very soon. Enough has already been written about the iPhone's battery throttling saga from late last year, but iOS 11.3 brings the topic back up in that it fulfills Apple's previous promise of providing users with more information on the health of their iPhone's battery, as well as offering the ability to disable throttling altogether. By visiting Settings ⇾ Battery ⇾ Battery Health (Beta), users can now see a percentage representing the health of their battery. If your iPhone's performance is being throttled to prevent unexpected shutdowns, this screen will communicate that and provide the option to disable that throttling. Once throttling is disabled, you won't have the chance to re-engage it until after your iPhone has had an unexpected shutdown, at which time the option will present itself again. Apple Music has always been home to music videos, but with iOS 11.31 Apple is beefing up its video game with an increased presence of videos in the Music app, featuring the addition of music video playlists so you can easily watch multiple videos back-to-back. Inside Apple Music's Browse screen there's a new section: Music Videos. Here you'll see a sampling of featured and new videos, along with curated video playlists put together by Apple's team. Currently, playlists exist for a wide array of genres and time periods, like R&B Now Videos, The A-List: K-Pop Videos, and Y2K Pop Videos. There are also playlists meant to fit a certain mood or setting, like Today's Chill Videos and Party-Starter Videos. Playback of videos works just like it always has, modeling the card interface of standard music playback. Your Up Next queue can contain both music videos and standard audio tracks, showing you what's next as you scroll up the playback card and enabling you to rearrange videos and songs to your preferred order. If you want to make your own video playlist, that works just like making an audio playlist – the two mediums can even be intermixed in the same playlists. Also, both curated and user-made video playlists can be downloaded to your device for offline playback. Four new Animoji for iPhone X users join the existing roster of twelve: lion, dragon, skull, and bear. The lion's a new favorite of mine thanks to its awesome mane. Business Chat. First announced nearly a year ago at WWDC 2017, Business Chat is a new way for iMessage users to communicate with businesses in the familiar, easy-to-use environment of the Messages app. It is launching in iOS 11.3 as a public beta in the U.S. only, with a limited number of launch partners like Lowe's, Wells Fargo, Discover, and Hilton. If done well, Business Chat sounds likely to offer a greatly improved customer support avenue over standard web chat interfaces. Podcasts Improvements. Apple Podcasts received an Apple Music-style redesign in iOS 11, which overall I think works well, but there have been a couple nagging annoyances following the update that I'm delighted to find Apple's fixed now. In iOS 11.3, you can get a podcast playing simply by tapping on it; previously, you would need to tap once to load the episode's detail view, then tap the play button from there. Also, if you want to access the detail view before playing, you can tap the purple-highlighted link at the bottom, which will either display the podcast's name (if you only have a single episode), or the number of episodes you have available (if more than one). Health Records. 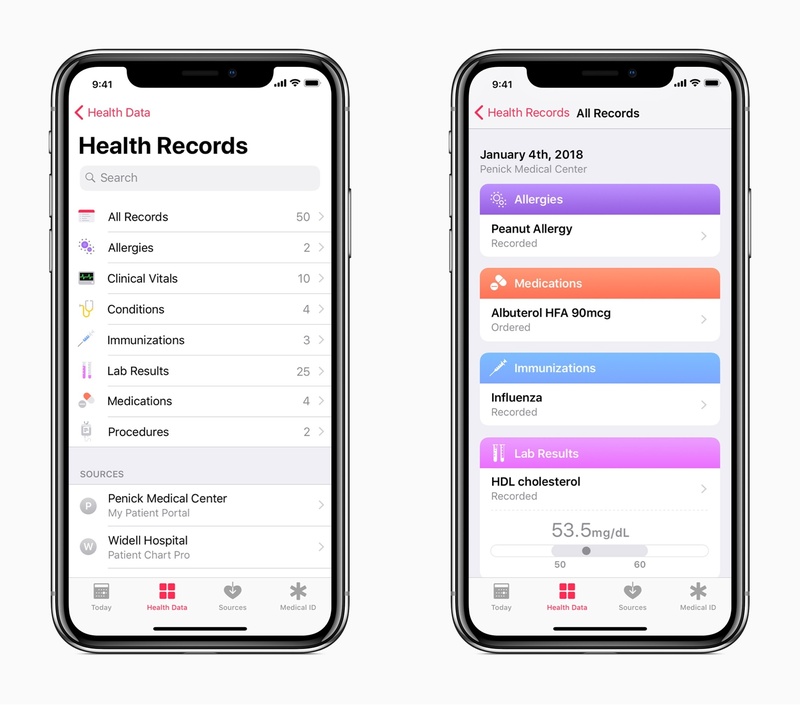 A new feature of the Health app, patients treated at certain partnering medical institutions will be able to access their records from those institutions directly within Health. Thanks to Health Records, information regarding immunizations, medications, procedures, allergies, and more will be stored in one location. Patients will even receive notifications whenever their records are updated. Apple has already added to the list of medical partners initially announced. In the Health app, go to Health Data ⇾ Health Records ⇾ Get Started to see if your local institutions support the program. Face ID and Family Sharing. One oddity discovered upon the iPhone X's launch is that you couldn't use Face ID to authenticate for approval of Family Sharing purchases, which Touch ID has always allowed. Some speculated this was due to concern around facial similarities between family members, but it seems that it was merely an oversight, as that problem has been fixed now. Safari AutoFill. For privacy reasons, Safari AutoFill now requires user interaction before usernames and passwords will be filled in on web forms. I would have preferred being given an option for this rather than having the behavior change forced, but over the beta period I quickly got used to needing to hit the suggested login info in the QuickType suggestions. If recent history was any indication, iOS 11.3 would likely be the last major update to the operating system before iOS 12's debut. iOS 9 and 10 never made it to x.4 versions. However, following Apple's recent education event, the company's website revealed that the newly-announced ClassKit framework for developers would be available as part of a forthcoming iOS 11.4. Previously announced features like Messages in iCloud and AirPlay 2 were available in the iOS 11.3 betas for a time, then were removed before today's public release, so perhaps we'll see their reappearance in 11.4. Now that 11.3 is officially out in the world, we should expect to see the first 11.4 beta release very soon.